when you can't see what you own, you are less likely to know that you have it. so here is something that i do. 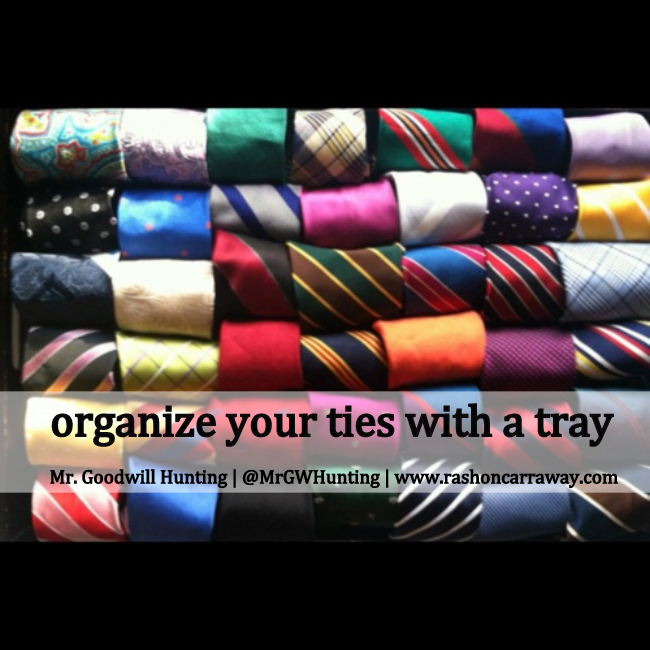 i roll my ties and place them neatly in a tray. this allows them to easily visible so that i can quickly see what i have without plundering through a tangled mess. large trays are very inexpensive and can been found at thrift stores, pottery barn, target even wal-mart. this storage solution is great for renters as well as home owners.